It's no secret that homegirl loves sweets. I have zero qualms with being that person that legit eats cake for breakfast (donut sundae on the hubgrass at rope drop? Yes please!) and chases said breakfast with a grande peppermint mocha frappuccino, guilt free. Ok...tiny bit of guilt, but I ignore those voices because no one needs that kind of negativity in their life. 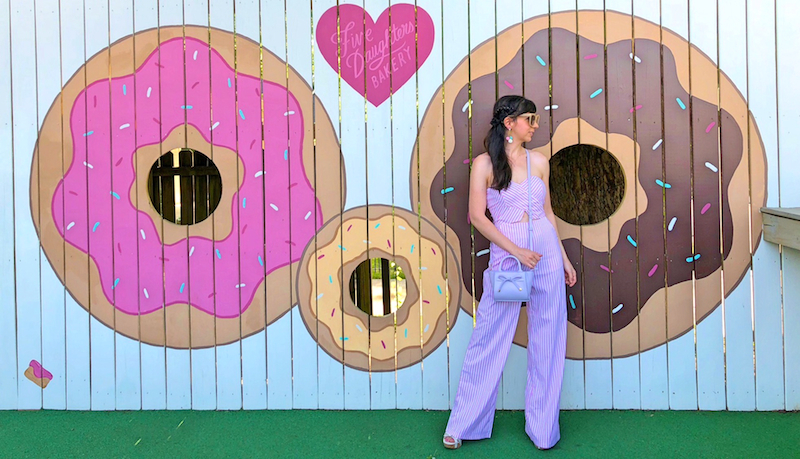 So what better way to hail the almighty donut than with a sweet outfit post against an equally saccharine & delicious backdrop? 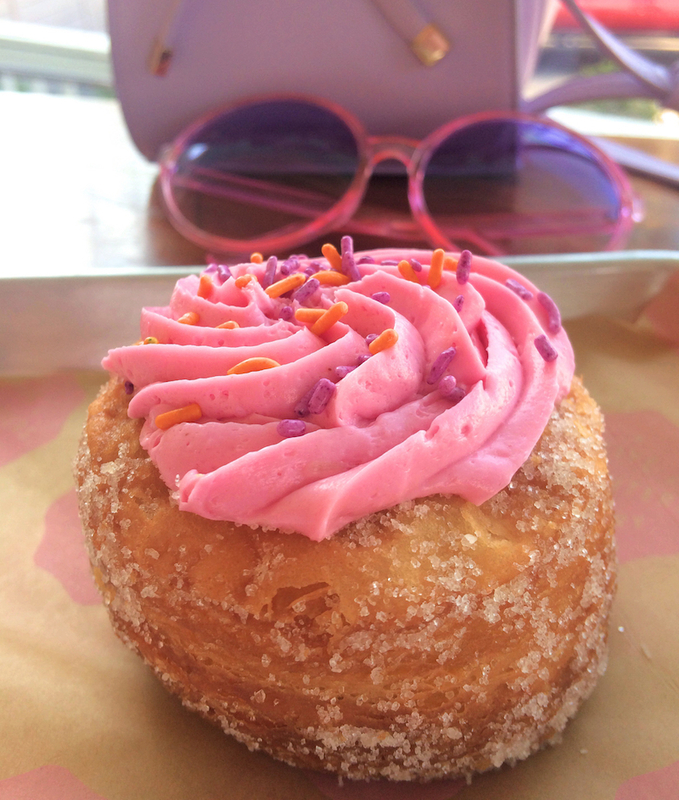 This particular donut mecca is 5 Daughters Bakery in Nashville, but they also have locations in Atlanta, Frnaklin, and in FL, along 30A. 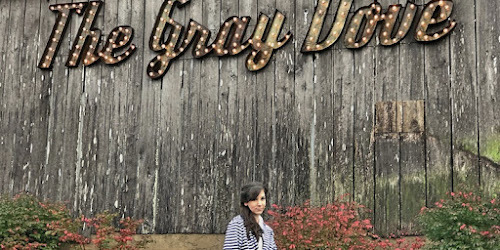 Not only was this place too cute to boot, but they had quite possibly the best donuts I have ever eaten (& I consider myself a bit of a sweets connoisseur). 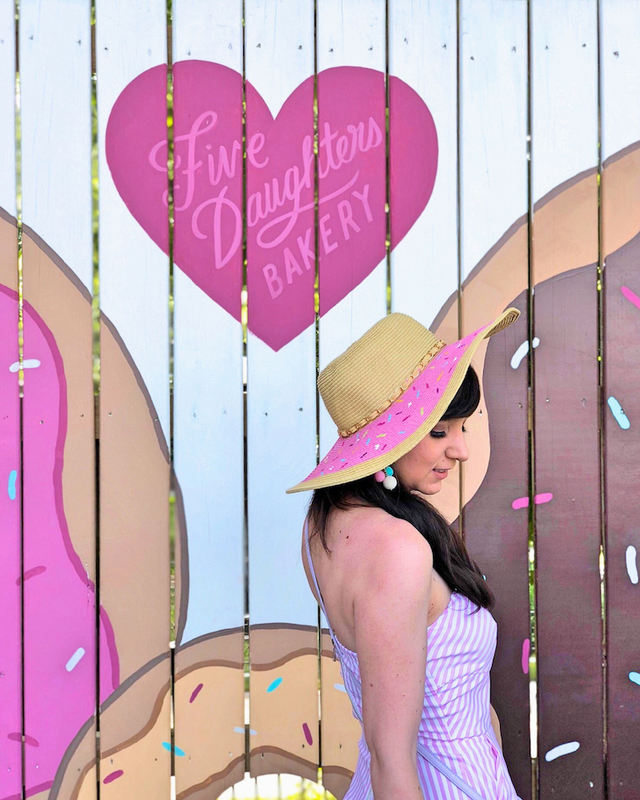 Besides being on top of their donut game, 5 Daughters also takes the cake (er...donut?) 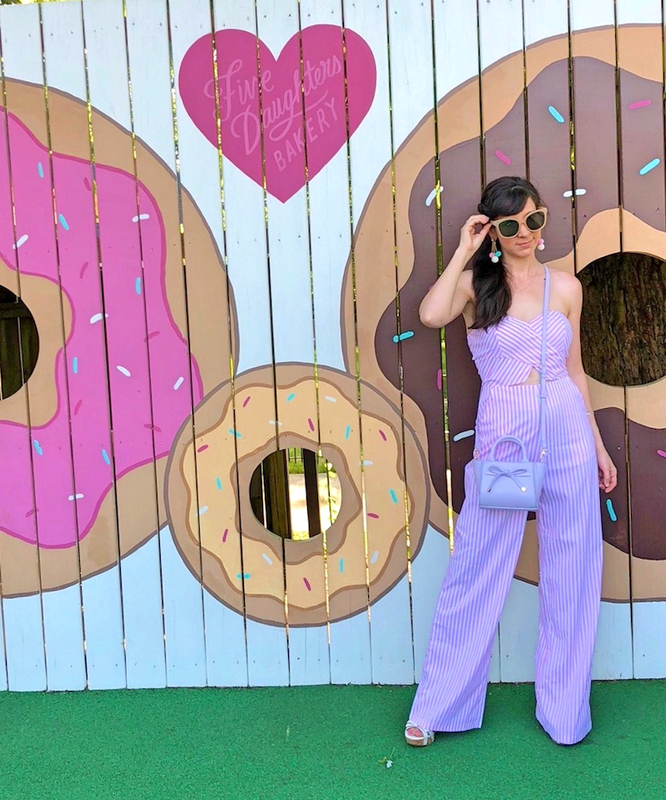 for cutest mural - & we all know how much I love a good donut mural! 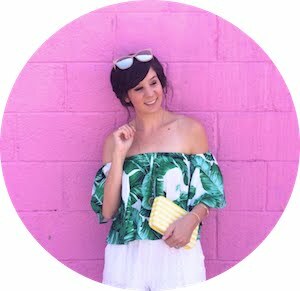 I curated the perfect outfit for our outing, because I'm all about matching that aesthetic! 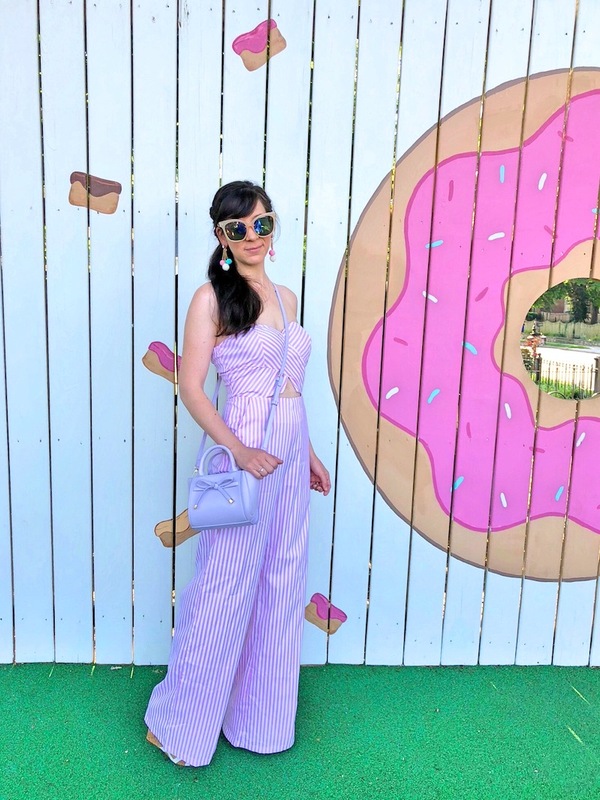 When I saw this pink striped jumpsuit, it instantly reminded me of the Main Street Confectionery or something Vanellope Von Schweetz & her Sugar Rush compatriots would rock. 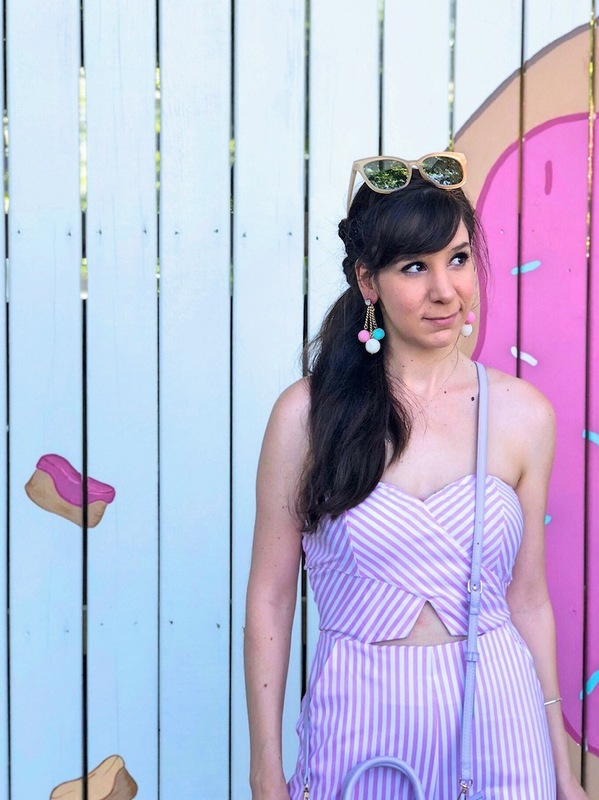 Jumpsuits aren't something I normally wear (yet I'm kind of loving right now! ), but part of the fun of fashion is experimenting, so I knew I wanted to try styling this piece. They're very in for the season right now, plus, it was too cute to pass up, with its sweetheart neckline, pastel pink pattern, & keyhole bodice. My jumpsuit came from Agaci, but it has since sold out & been removed from the website. You can shop some similar pieces here, here, here, and here. I accessorized with a mini crossbody bag, which was perfect for carrying my essentials. While I love a good oversized bag, they can get heavy because I tend to lug around my entire life in my purse. Reducing back down to just the basics (keys, wallet, phone...) is much friendlier on my back, and allows me to use cute mini-bags like this one! I also added the fun pom pom drop earrings because they reminded me of icecream, and I fell in love with the pastel color scheme. 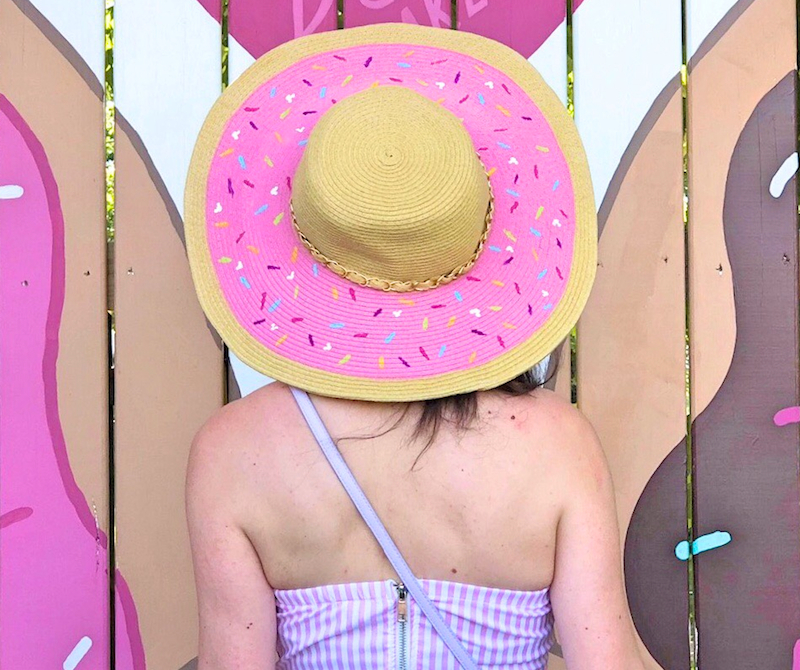 I decided I needed a fun sunhat for the summer, and what's more fun than a pink sprinkle donut? I made this hat myself, and you can get it over at my shop, Second Star Co. - it even has tiny Mickey sprinkles! 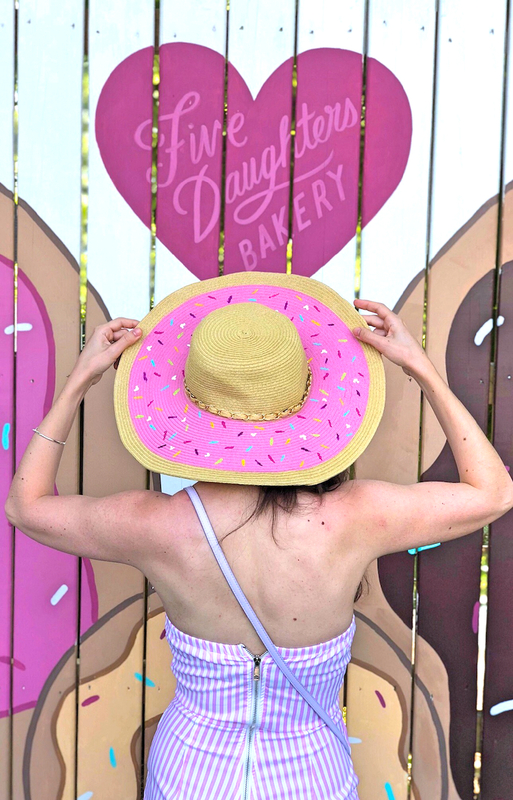 If you're not a fan of donuts (then sorry, we can't be friends), there are plenty of other cute options for summer sunhats. 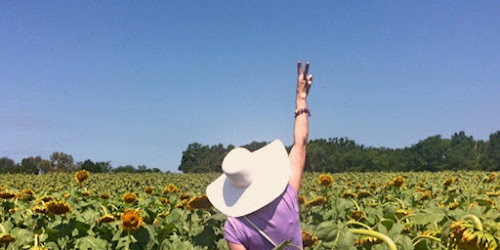 Check out my top picks here, here, & here. 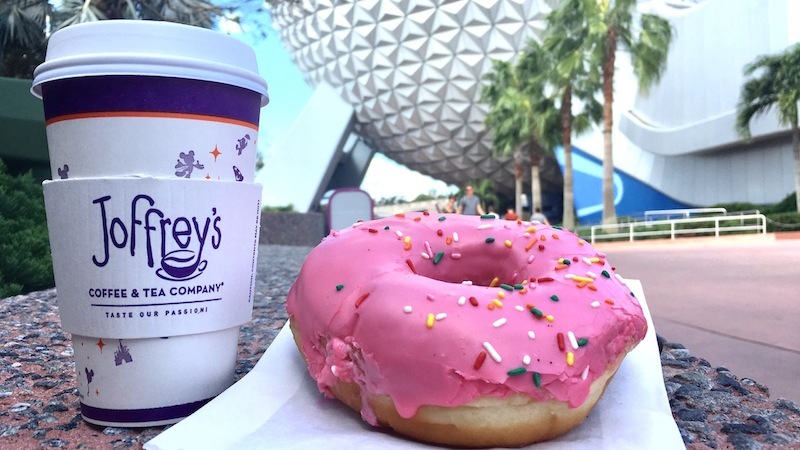 And if you're in the mood for a donut & happen to find yourself at Disney, there are several spots to get your sugar fix.